Although rumors surrounding Apple's electric car project began intensifying after the vehicle's development sped up last September, a new report out of The Guardian looks back before all of the current hubbub began, at the "secret car" that became of special interest to former Apple CEO Steve Jobs. Called the V-Vehicle and created by industrial designer Bryan Thompson, Jobs flew the designer out to San Francisco in 2010 to discuss Thompson's plans for the car, and pick his brain on the status of the automotive industry as a whole. 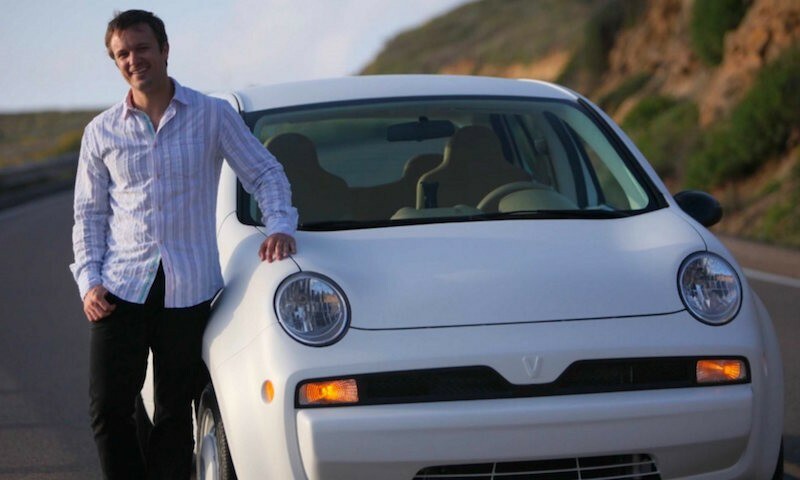 Thompson and his team created the V-Vehicle with the goal of constructing a disruptive force in the car industry with "a lightweight, petroleum-powered car that used cheaper materials and could sell for just $14,000." They had been working on it for two years when Jobs became interested in their progress, and invited Thompson to his home in Palo Alto to see it for himself. 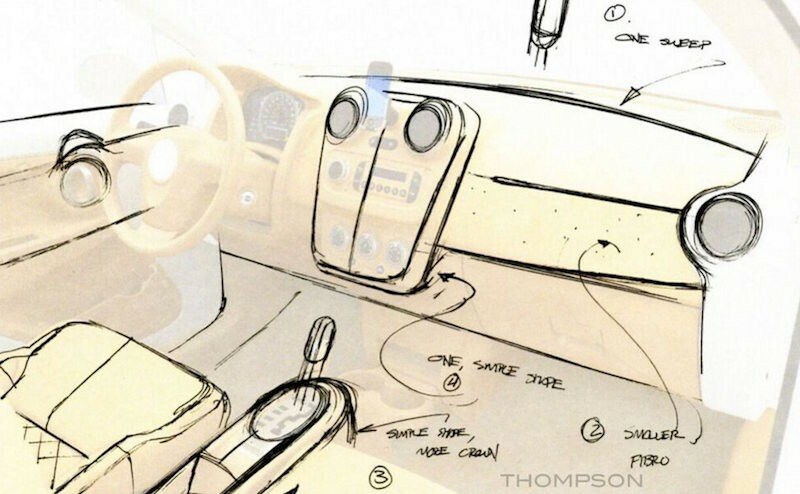 According to Thompson, within their fifteen minutes together -- Jobs sitting in the driver side and Thompson in the passenger side -- he "learned more about plastics than in his years in design school and auto industry combined." The former Apple CEO discussed his thoughts on the V-Vehicle, focusing a lot of his time on the materials of its body, which were made of polypropylene and glass fibre. The results were a car that was 40 percent lighter than a normal steel-made vehicle, not to mention would cost 70 percent less capital to produce. Jobs told Thompson to think about emphasizing the plastic rather than disguising it. “Let the material be honest,” he said, noting the dashboard, which was made of fibre-wood, a composite of synthetic resin and wood pulp. He suggested it would look better designed as one piece that “evoked a sense of high precision” – an idea Jobs often returned to with Apple’s chief design officer Jonathan Ive. Jobs continued to tip Thompson to take another look at the V-Vehicle's interior, telling him that "a taut surface has a sense that it's full of energy, like an animal ready to pounce. It's a subconscious thing that gives the product an impression of high quality and confidence." Thompson took Jobs' advice to heart and immediately began reworking a few subtle design changes in the car's interior on his flight back home. Despite the V-Vehicle's potential for success, the business ultimately failed after venture funding evaporated and long-term plans for subsidized manufacturing plants failed due to tighter state budgets. Eventually, Thompson's designs were bought by LCV Capital Management in 2015, and V-Vehicle was renamed Next Autoworks, with a renewed plan to build the car in Italy. Steve Jobs was said to have passed on building a car in 2008 to focus on the recently launched iPhone, although the former CEO remained interested in the vehicle project throughout the years. Rumors that have ultimately pegged the Apple Car for a 2020 launch began in early 2015, when mysterious vans linked to Apple began being spotted driving around Northern California. Those were in fact related to a mapping project, as Apple confirmed later, but the media interest in the potential for an Apple-made vehicle continued to fuel rumors surrounding a car that could potentially "give Tesla a run for its money." Now, some of Steve Jobs' hopes for the V-Vehicle might be coming to fruition, including Apple's rumored talks to use BMW's i3 as a basis for Project Titan, which would fall in line with Jobs' appreciation of a precise, lightweight unibody material thanks to its carbon fiber outer shell. Those talks reportedly didn't end in an inked deal, but could "resume at a later stage," according to sources within BMW. You can read The Guardian's full story on the meeting between Steve Jobs and Bryan Thompson here. Apple wants to make a Fiat? Apple is building a personal space pod using materials only found in Mars. It turns out that it was all Steve Jobs's idea since the creation of the iPod. But, wait, everyone... The future is NOT about owning your own car and spending $14k or more on it. You rely on the cloud for most of your data and use lightweight computers - similarly the future is in transports as a service. Integrated transportation solutions, i.e. what Uber is building. And public transports (high-speed trains...). I think Apple should invest in self-driving, mapping and power grid management technologies - not in building a $$$$$ piece of metal and plastic that'll spend 95% of its time cluttering public space (i.e. parked), unused. The car pictured in this rumor makes me think of the Bluecar by Bollore Technologies - cheap, robust, lightweight, and part of a self-service scheme (https://www.autolib.eu/en/). So maybe Apple is trying to compete with that, and with Uber, not with Tesla. Sorry, you can have my car when I'm dead but not a minute before. Not everyone wants to uber or lives in big urban areas with everything in walking distance. And some of us like driving our cars thank you very much. In Macrumors whiners-brigade collective mind, Steve Jobs would only have done what they can currently envision, whereas the real Steve Jobs never actually did that, for example dropping cd-rom drives from the Mac, producing an mp3 player and banning Flash from the iPhone, all decisions they harshly criticized back in the days. 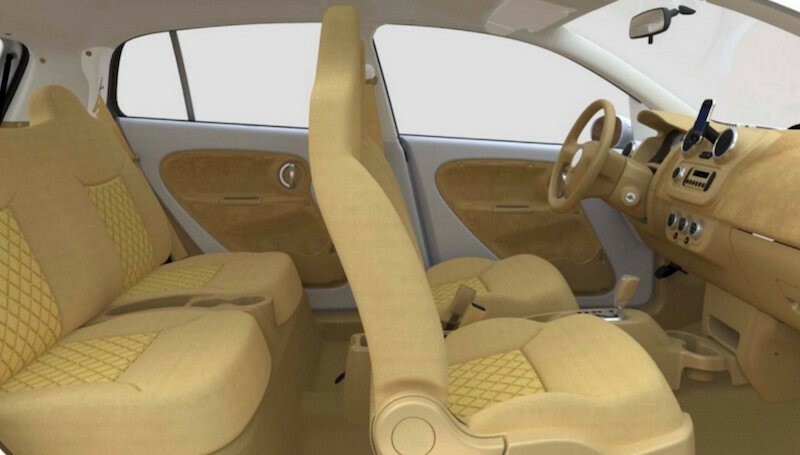 It doesn't help that this is probably the ugliest interior ever known to man. What are these designers thinking half the time?? The interior colors looks like its based on the interior from Star Trek Next Generation's Enterprise ship.